I listen to a podcast during my morning commute. Mal recommended “Coffee Break Spanish” before our trip to Bolivia. It’s a free podcast, available through iTunes, and it’s fantastic–probably the most useful resource I’ve come across. Like the name implies, the episodes are short and entertaining. Mark and Kara, the hosts, cover various topics–from asking directions to going camping–so well, that you come away from each episode feeling like you can converse about them. (They also break down grammatical points so they’re easy to understand.) I’ve actually learned most of my vocabulary from it. While I know I’m making progress, I’m also aware of how much more I have to learn. When I hear people speaking Spanish on the subway or in stores, I understand a few words, but usually can’t follow exactly what they’re saying. I’m not expecting to come back from Guatemala proficient or even conversant. But I’m sure I’ll know way more than I do now…which is more than I knew a few months ago. It’s slow going! But I suppose that’s the only way to learn a language when you can’t be fully immersed in it for several months: a little at a time. 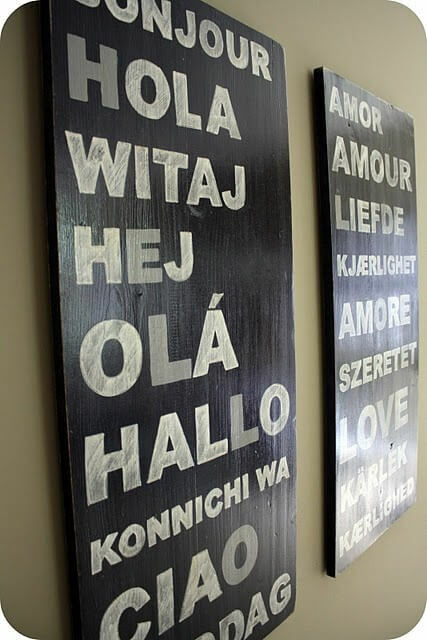 Do you speak another language (or two or three)? How did you learn it?